Qigong Master Teacher Limin Song began the study and practice of Qigong in 1989. She earned her Certificate of Qigong Training from the Medical Qigong Institute of Liaoning Province, China in 1992. Two years later she received her Qigong Teacher diploma from the Qigong College and Research Center of Practical Qigong in Benxi, China as well as her Acupuncture and Massage diploma from the Liaoning Chinese Medicine Institute. 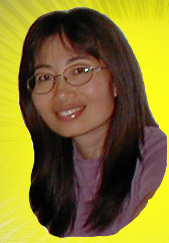 Ms. Song studied privately with different Qigong and Taiji Masters. In 1994 she was Certified as an International Qigong Master and Teacher from the Xian Qilin Culture Institute. 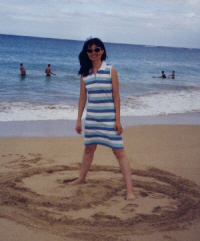 She has been teaching Qigong and Taiji in community centers and hospitals since moving to Hawaii in 1996. Inspired by transforming her health through Qigong, and witnessing many other people have similar positive benefits from practicing Qigong, Master Teacher Song is dedicated to educating and training people about Qigong. 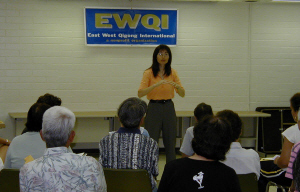 As EWQI’s lead organizer, she is also focusing her efforts on conducting the organization’s Qigong research program to systematically document the self-healing effects of practicing Qigong. Ms. Song also holds a MPH in Public Health from the University of Hawaii, and postgraduate degrees in Organic Chemistry and English from China. After seven years of working at the Department of Health, State of Hawaii as a research project coordinator, Limin has decided to resign and fully focus on her Qigong and general health education in the community. 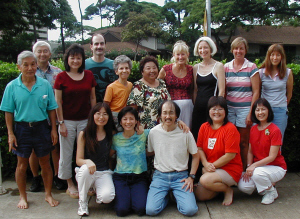 Limin and her students in Honolulu.